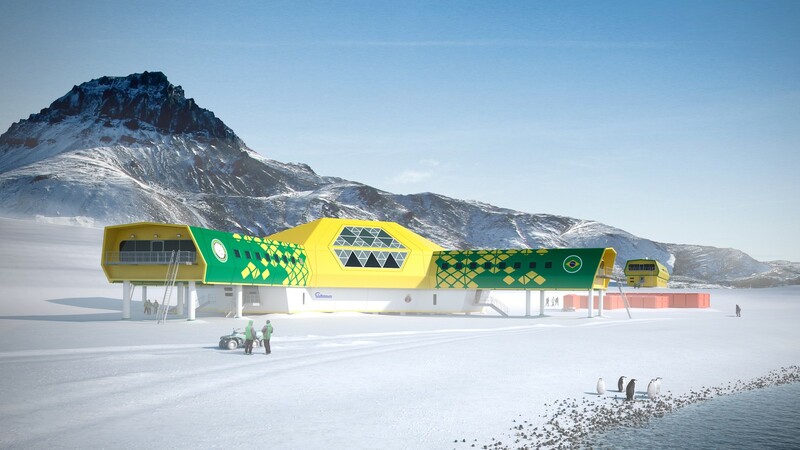 Our project combines Brazilian flair with international experience designing polar research stations in Antarctica and the Arctic. The station is arranged in three blocks. At the centre is the main habitat with four wings of bedrooms leading to the central social spaces, which have fantastic views out to sea and up to the mountains. 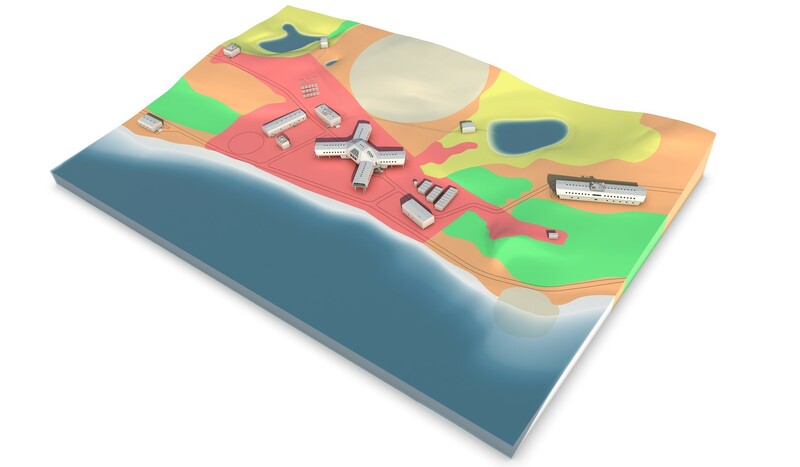 The science building is placed a short walk away from the habitat and maximises flexibility with integrated zones for structure and services. Social spaces are placed in the centre, shortening circulation and acting as incidental points of interchange between scientists. 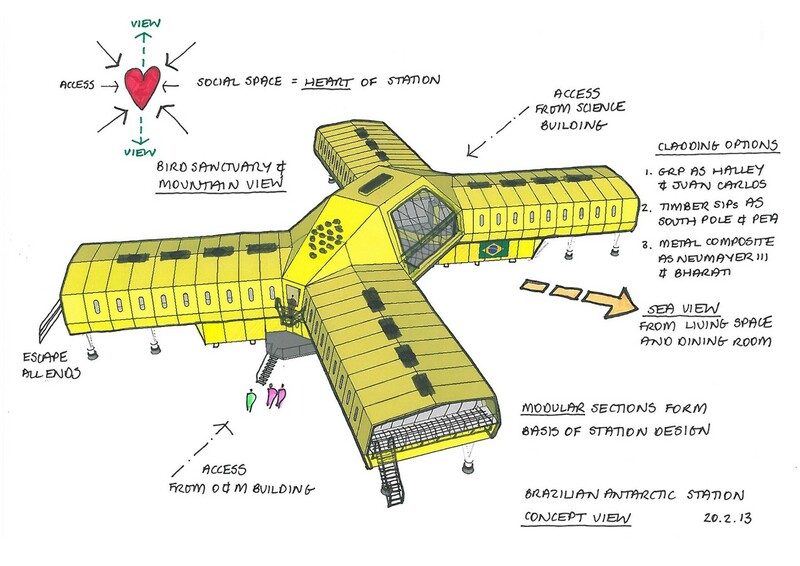 Remote scientific installations are accommodated within single storey buildings and made from the same modular components as the rest of the station. 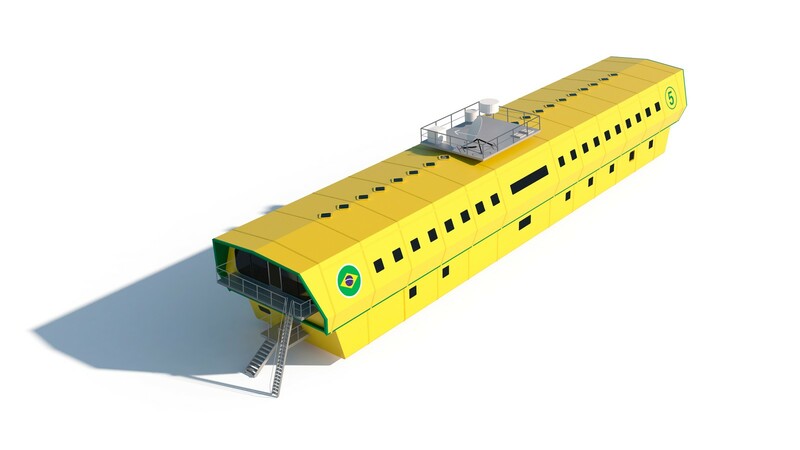 The base will be constructed with modular steel framed buildings clad in brightly coloured glass reinforced fibre panels. Buildings will be elevated on segmented pre-cast concrete foundations. 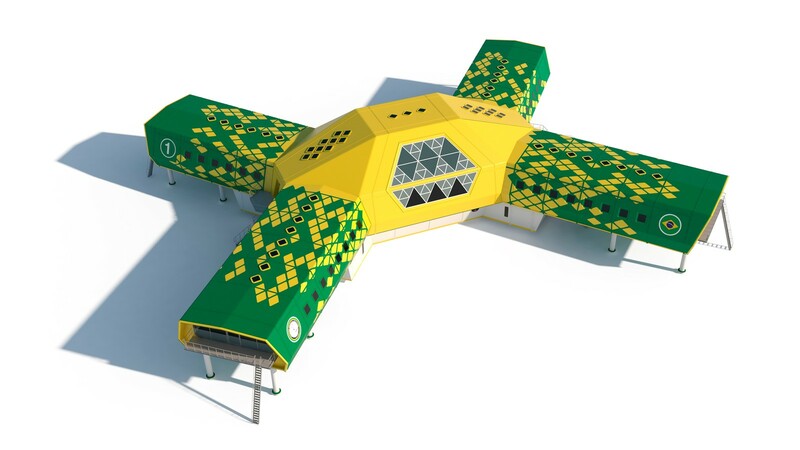 A standardised 4.3m x 10.5m module is used to create every building, simplifying fabrication, logistics and construction. 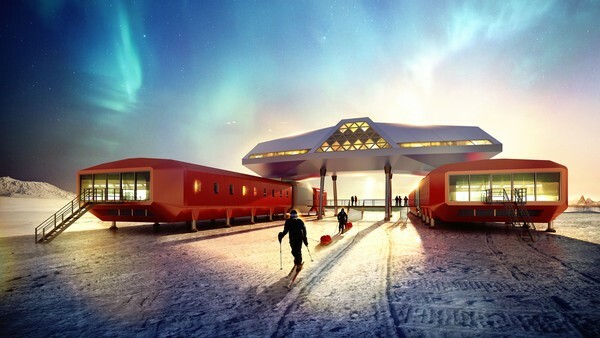 Electrical power will be provided by generators, solar panels and wind power. Water will come from the lakes, the sea or from melting snow. It will be treated in the O&M sector and distributed to the habitat and science buildings. 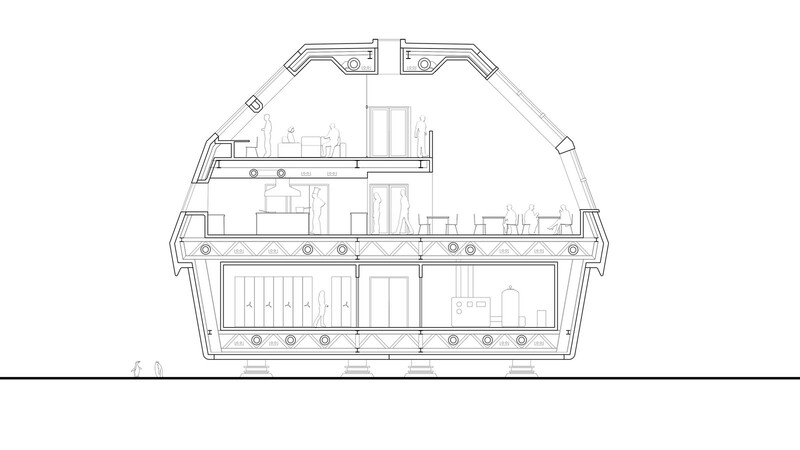 The base can be built over two summer seasons with commissioning and handover in the final third season.